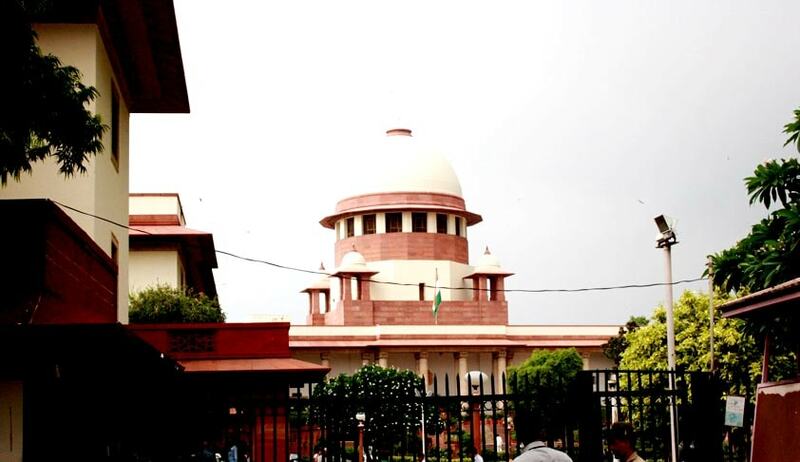 The Supreme Court has set aside a judgment of Uttarakhand High Court which had struck down the Acquisition of land for the purpose of expansion of Uttaranchal Secretariat. Apex Court Bench comprising of Justices Ranjan Gogoi and Prafulla C. Pant said allowing the Appeals against orders passed by the High Court of Uttarakhand in the matter of acquisition of land for the purpose of expansion of the Uttaranchal Secretariat, said that it cannot agree with the conclusion of the High Court that the acquisition suffers from any fundamental flaw or illegality which would require the same to be struck down. The Court said that the state taking possession of the land prior to the passing of the award by invoking the provisions of Section 17(1) of the L.A. Act, even though the State had departed from its initial stand of invoking Section 17(4) of the Act and had given to the land-owners the opportunity contemplated by Section 5A, is permissible. The Court observed that Sections 17(1) and Section 17(2) vest power and jurisdiction in the State to take possession of the land even prior to the passing of the award.